ADORATA is an Italian word meaning adore, idolize or admire, a true meaning and exact words when you see the glamour and sophisticated weddings gowns and suits of Adorata Weddings +. Own by the Philippines' drama princess Kim Chui and two of reknown designers of our country Pepsi Herrera and Edwin Tan. 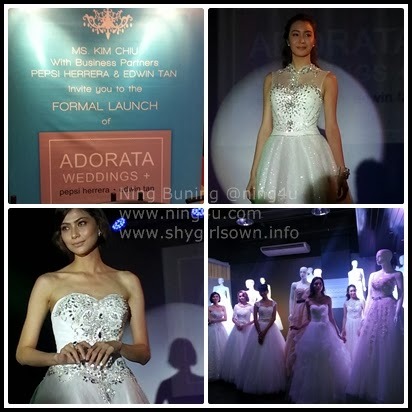 Recently launch at the Big Shift, A Venue Makati City, Adorata gowns and suits are presented with poise and luxury. 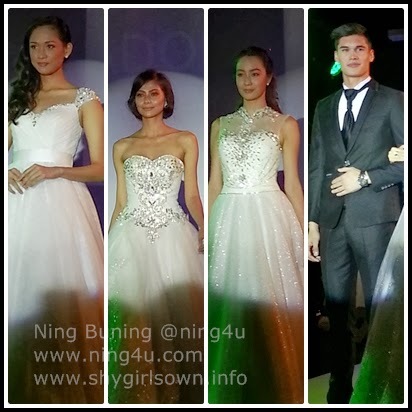 Models owned the ramp one by one dressed with Adorata Weddings+ bridal gowns and grooms suits. The gowns designs are unique with quality fabric and precious beads. Adorata Weddings Botique is now open at PT Square Bldg., 85 P. Tuazon St., Brgy. San Martin De Pores QC.